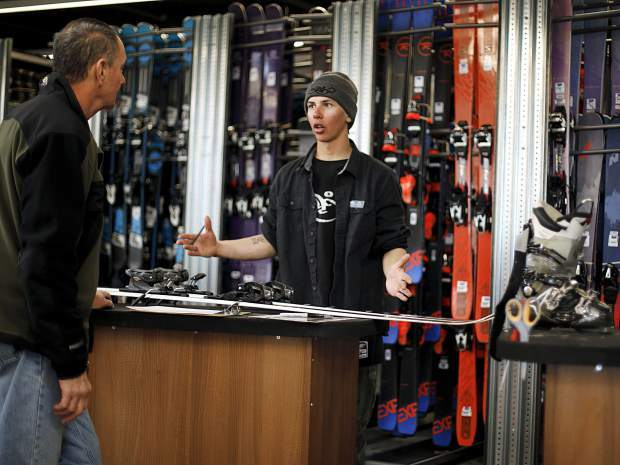 Christy Sports employee Andy Turner, far right, assists customers in the ski boot section of the renovated store location in Dillon Tuesday, April 2, along Highway 6. 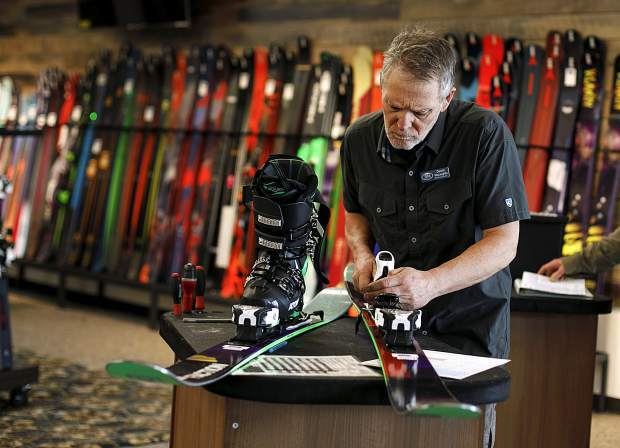 Christy Sports employee Dennis McLaughlin adjusts the bindings of rental skis for a client inside the renovated store location in Dillon Tuesday, April 2, along Highway 6. 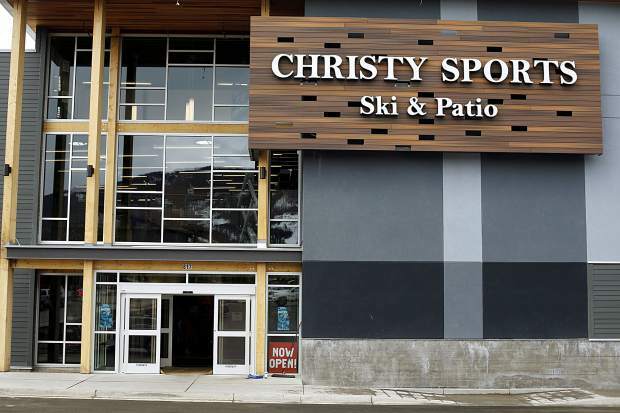 The renovated Christy Sports Dillon location has opened to the public Tuesday, April 2, along Highway 6. 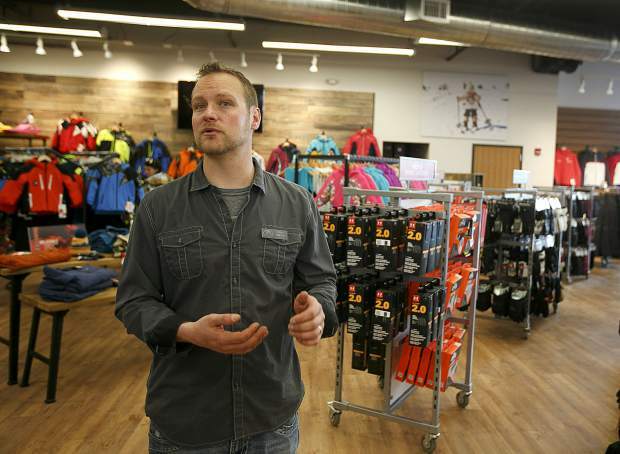 Christy Sports manager Adam Gillespie inside the renovated store location in Dillon Tuesday, April 2, along Highway 6. Tuesday, April 02, in Dillon. 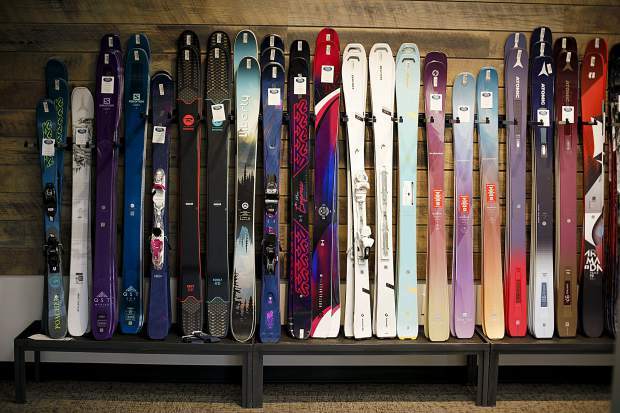 Skis inside the renovated Christy Sports Dillon location, which has opened to the public Tuesday, April 2, along Highway 6. 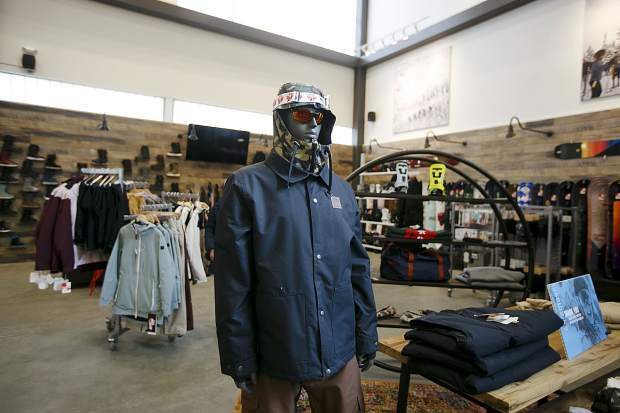 Christy Sports employee Alex Keimel, right, assists a customer inside the renovated store location in Dillon Tuesday, April 2, along Highway 6. 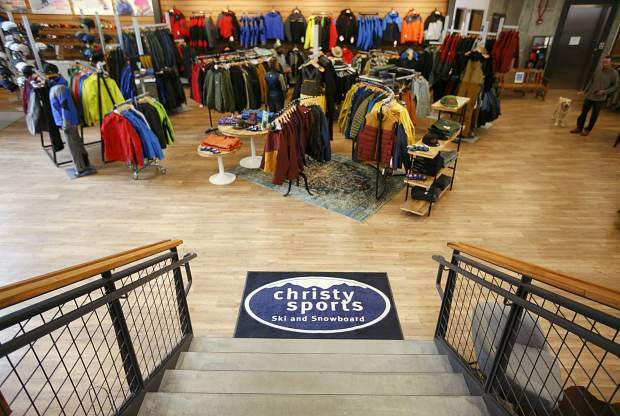 The renovated Christy Sports' Dillon location has opened to the public Tuesday, April 2, along Highway 6.